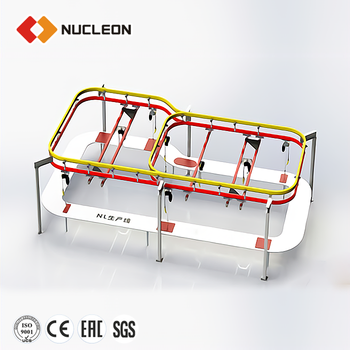 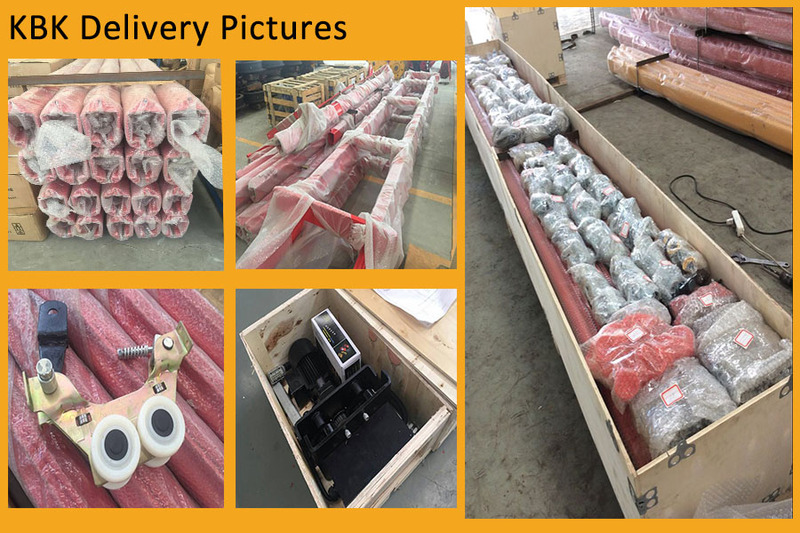 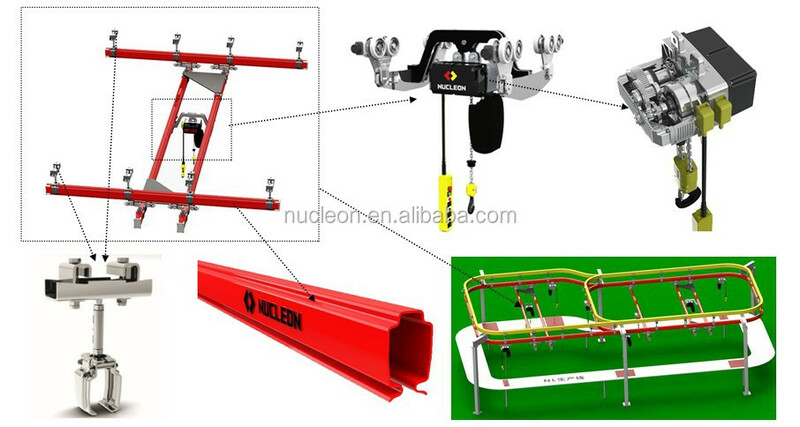 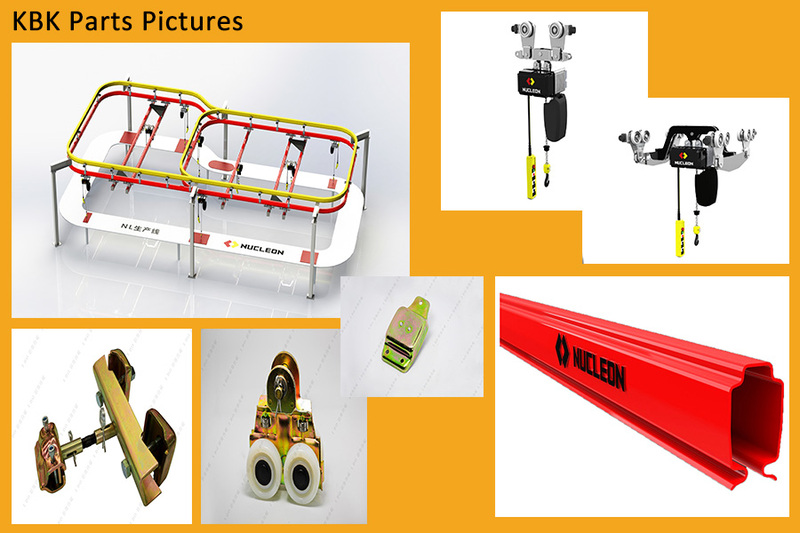 Free Maintenance Nucleon KBK Hanging Track Rail Price is composed of the suspension device, rail, turnout, walking trolley, electric hoist, mobile power supply device (bus bar) and control device etc. 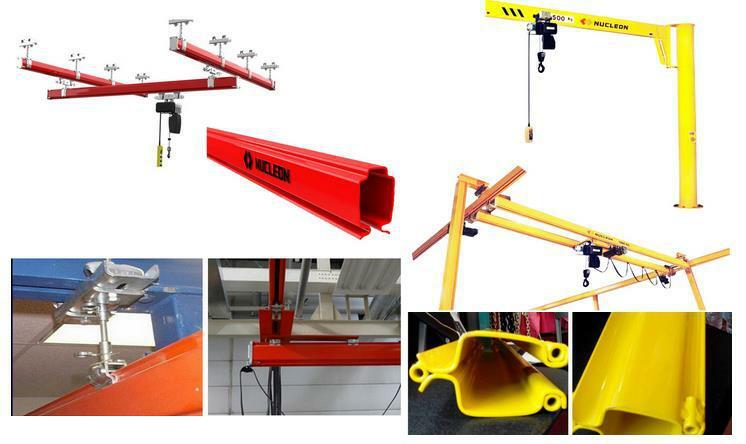 Because this product could simply hang in the workshop roof or beam frame, it can realize the material directly transportation in the air. 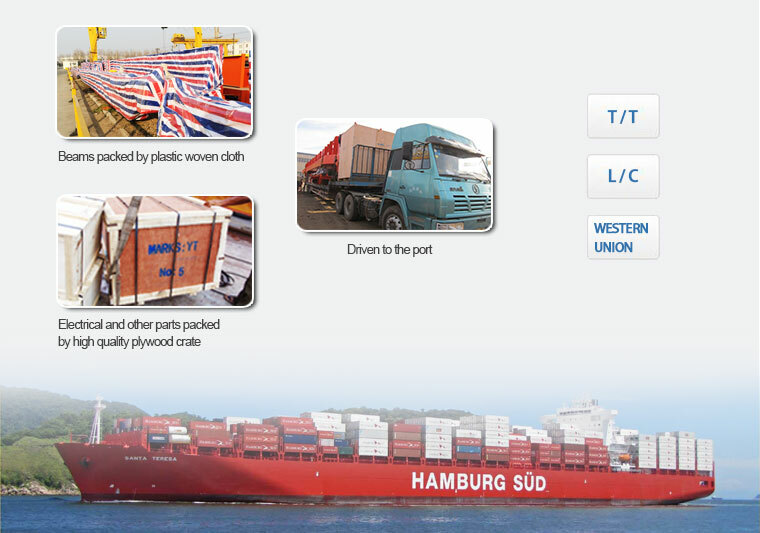 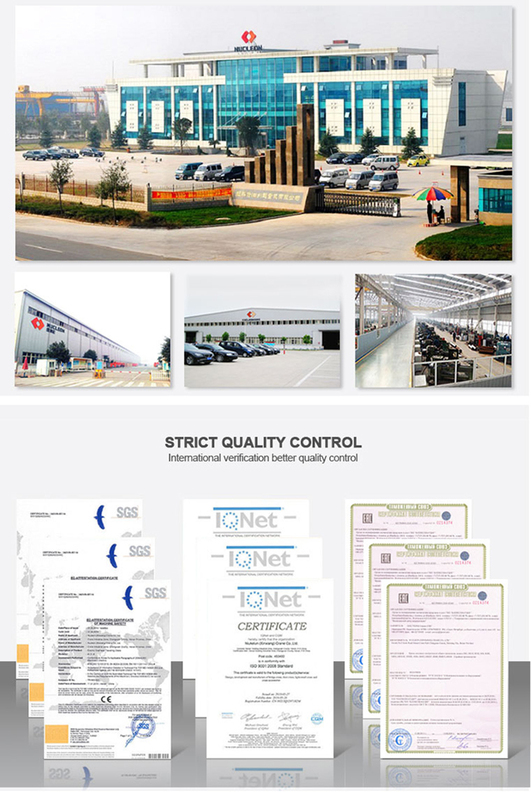 Therefore, it is widely used in all walks of life conveying link or system. 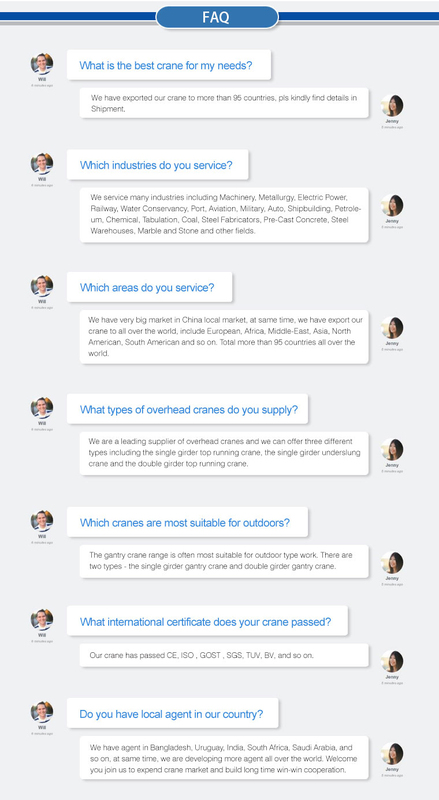 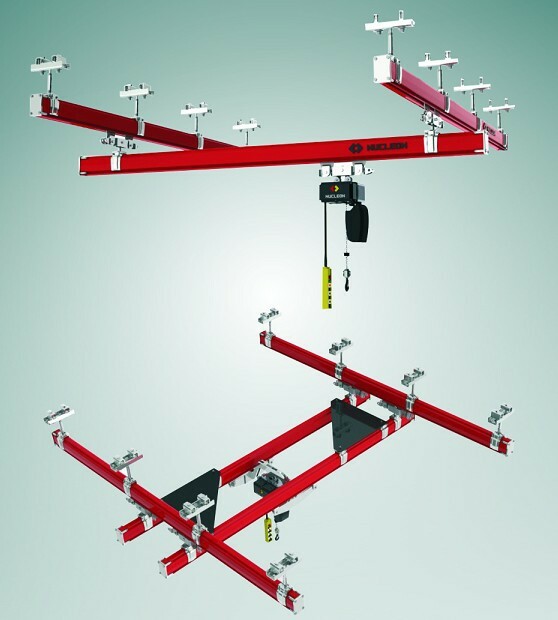 most of them match with NL type chain hoist, and adapt to a very wide range. 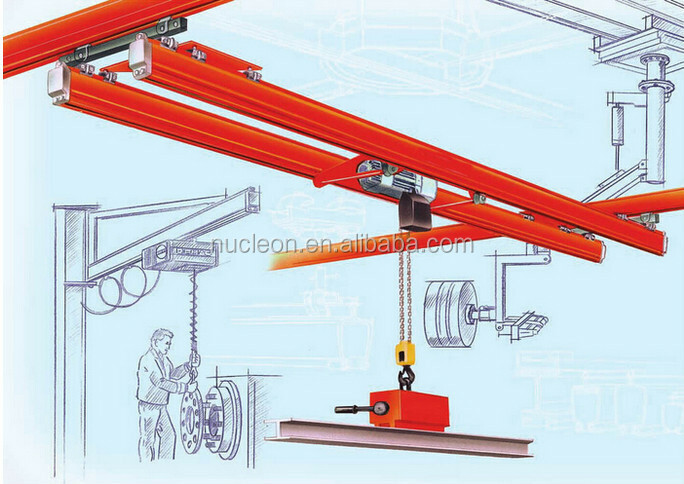 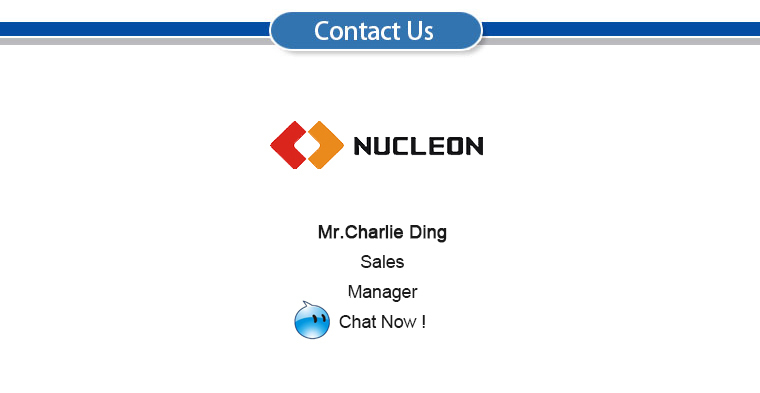 Nucleon (Xinxiang) Crane co., ltd., founded in 2005, the registered capital of 270 million Yuan, covers an area of 450000 square meters, staff 1700 people. 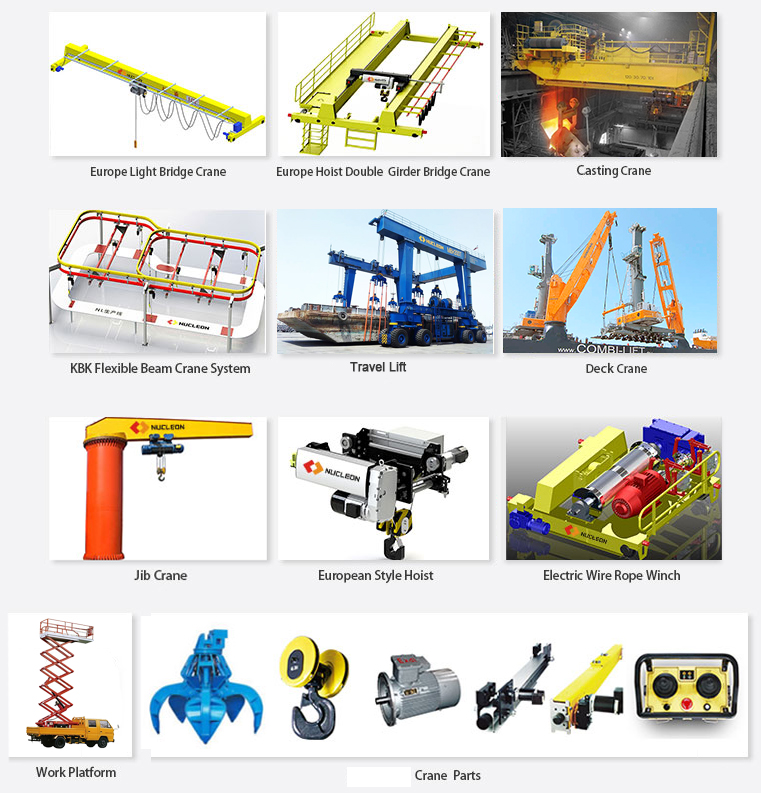 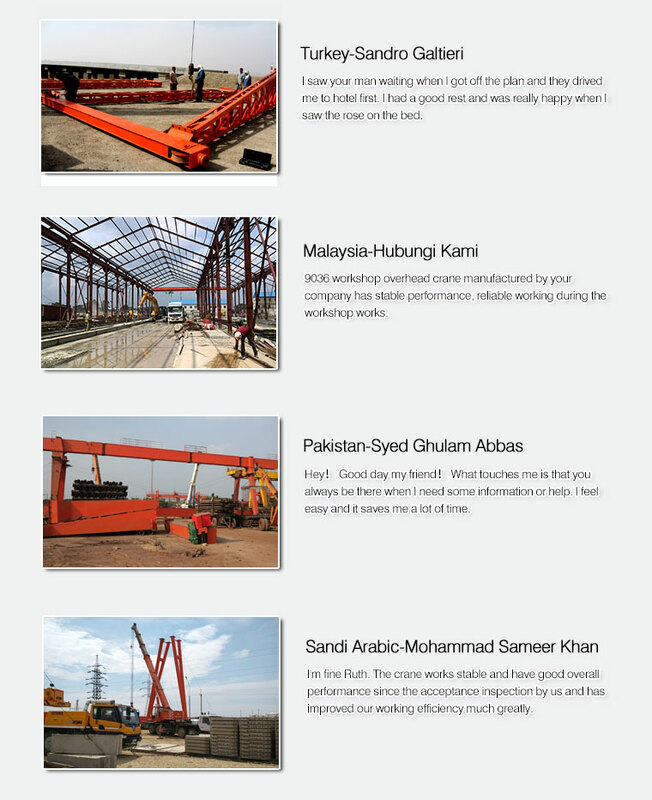 Achieves ISO production system certification and europe standards like DIN & FEM.Nucleon is a bridge, gantry crane, coal series hoisting equipment, small light lifting equipment and other products of research and development, manufacture, installation, sales and service as one of the Sino-foreign joint ventures. 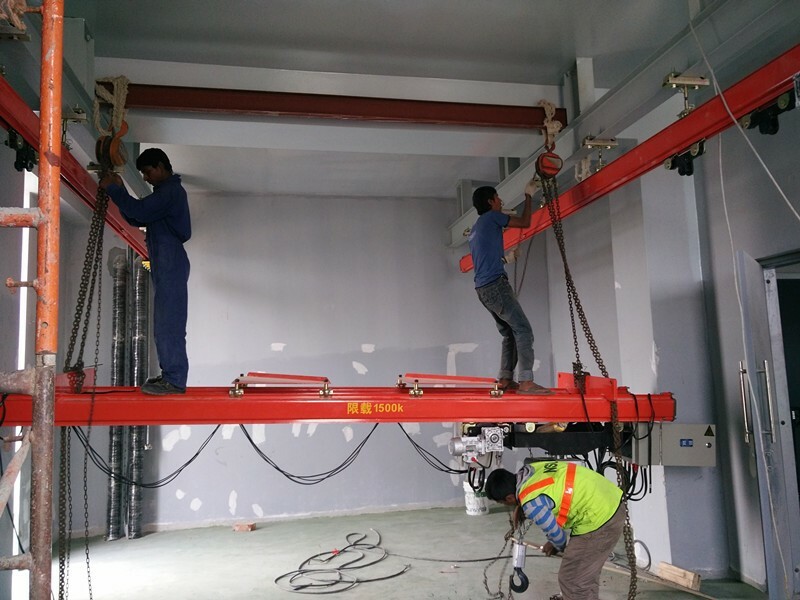 The ND, NH model wire rope electric hoist, NL type chain electric hoist, mine explosion-proof hoist, HD type electric single-girder, NLH type electric hoist bridge crane in the domestic leading level, the electric hoist production for many years ranking second in the country.